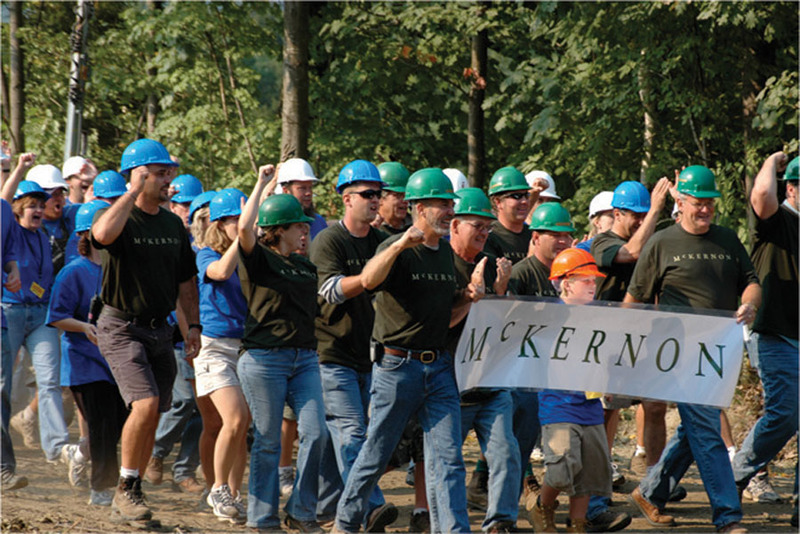 The McKernon Group was contacted by the television show Extreme Makeover: Home Edition and was asked to donate our company resources for the purpose of designing and building a house for a special Vermont family. Assuming full responsibility for the build, we had just a few weeks to plan, organize, gather volunteers and seek donations. After hearing the needs of the family we chose to build an energy efficient home with several ADA features. The entire company was involved and the job was completed in 106 hours! It was a success because of the preparation, skill an attitude of everyone involved.